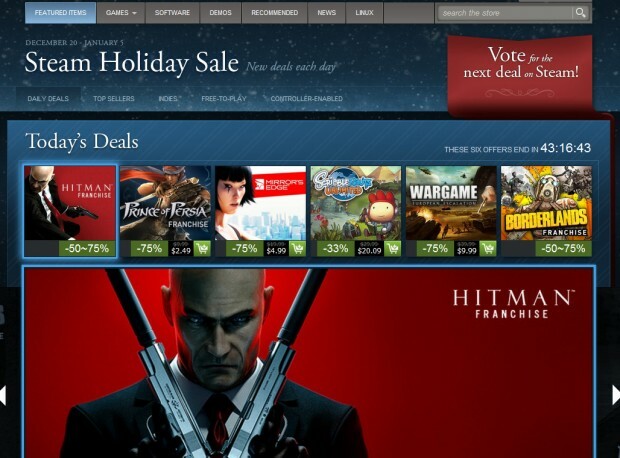 Prepare your wallets everyone, the Holiday Steam Sale has arrived, offering steep discounts on numerous PC, Mac and Linux games. 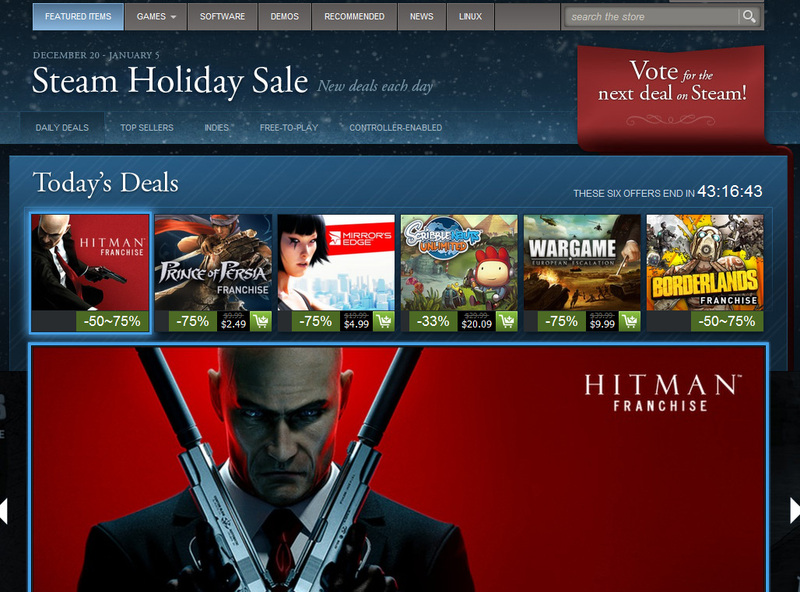 The 2012 Steam Holiday Sale brings along the usual daily deals, flash deals and publisher catalog discounts. Unlike the past few Steam Holiday Sales however, there’s no gimmick (like coal collecting/crafting and coupons) this time around. Wargame: European Escalation for $9.99 (was $39.99).